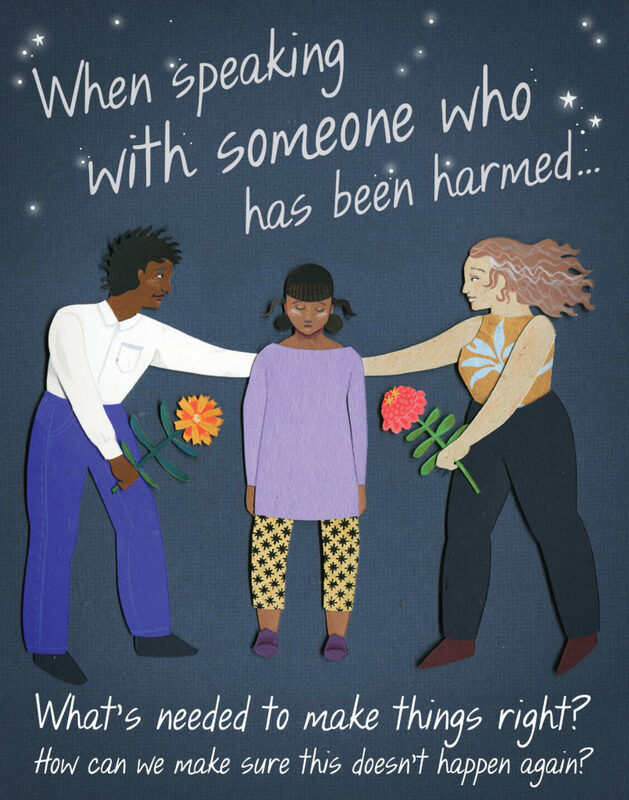 “When speaking with someone who has been harmed…What’s needed to make things right? How can we make sure this doesn’t happen again?” This poster was created by Chicago-based artist Molly Costello. This entry was posted in Posters on September 2, 2016 by rjposters.